The motorcycle byways of the Southern Appalachians are classic: Georgia 60, the notorious “Dragon,” and the Cherohala Skyway. Ride to the top of Georgia’s Brasstown Bald and over Tennessee’s Lookout Mountain. 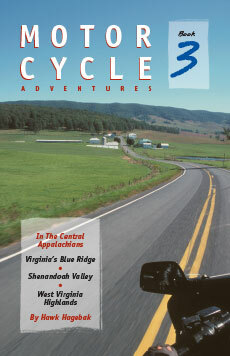 Cruise remote back roads to Highlands, NC, highest incorporated town in the East, or tour the Chickamauga Battlefield. Spend a day seeing the sights of Chattanooga. Along the way enjoy local eateries and B&Bs, visit motorcycle-only resorts, and soak in the world-class scenery. 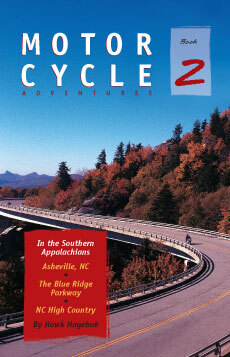 Now expanded to include 26 rides with updated information on road conditions, restaurants, lodging, and attractions, this guidebook includes easy-to-read maps with complete directions for each ride, liberally sprinkled with the author’s special brand of humor and practical advice on motorcycling etiquette, handling a breakdown, avoiding traffic tickets, and more. Haakon “Hawk” Hagebak is a retired Cobb County, GA police captain. Over the years with the force he served in positions ranging from the motorcycle squad to secret things we can’t mention. He’s also a former Coast Guard navigator who has logged motorcycle tours in 49 states. And get this: he can even fly helicopters. 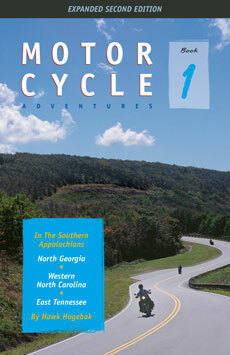 His three-book Motorcycle Adventures series covers more than 5,000 miles of the best touring routes in the East. Hawk lives near Atlanta with his wife and daughter.